By Ian Pollard in News and Views on 13th June 2017 . 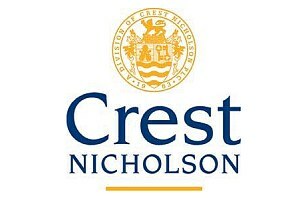 Crest Nicholson CRST imposed swingeing increases of 12% in its open market average selling price for the half year to 30th April, giving it the courage to increase its interim dividend by 23%, despite rises in profits before and after tax and in earnings per share of only a modest 5% each. Worse still those hefty price rises produced only a 3% revenue increase as completed unit sales for the half year fell from 1206 a year ago to 1064. Forward sales as at mid June were only 4% ahead of last year. Certainly not much evidence of a continuing boom in those figures except of course in the increased dividend. Ashtead Group AHT reports another very successful year with rental revenue rising by 28% and the final dividend lifted to 22.75p per share making a rise of 22% for the full year to the 30th April. On a statutory basis, profit before tax and earnings per share both rose by 8% and revenue by 10%. In the fourth quarter revenue rose by 11% and profit before tax and earnings per share by 5% and 4% respectively. The current financial year has got off to a good start and is expected to produce strong cash flow. Ted Baker plc TED produced a continuing good performance in the 19 weeks to the 10th June with total retail sales for the period up by 14.3% and e commerce sales by by 32.3% both on a constant currency basis. This was achieved despite an uncertain macro environment which sounds very impressive but in plain English means the economy as a whole was uncertain. Really?? Telecom Plus TEP chalked up its 20th consecutive year of organic growth and did so against a challenging market backdrop – hands up first to know the difference between challenging markets and a challenging market backdrop. Like for like profit before tax for the year to 31st March rose by 16.5% and earnings per share by 15%. The full year dividend is raised by 4.3% to 48p per share. Halma HLMA produced a strong performance in the year to 1st April, its 14th consecutive year of record revenue and profits.Profit before tax rose by 16%, earnings per share by 19% and revenue by 17%. The final dividend is to be increased by 7%. Iomart Group IOM has a large and long runway for success which it seems to think is a good thing to have and as seems right and proper with such an asset, is proposing to increase its final dividend for the year to 31st March by 90%, following rises in both revenue and profits of 13%. Basic earnings per share were up by 9%.